Posted on Sunday, June 24th, 2012, by Brenda Pottinger under Misc..
Congratulations to Courtney and Craig on their first anniversary! 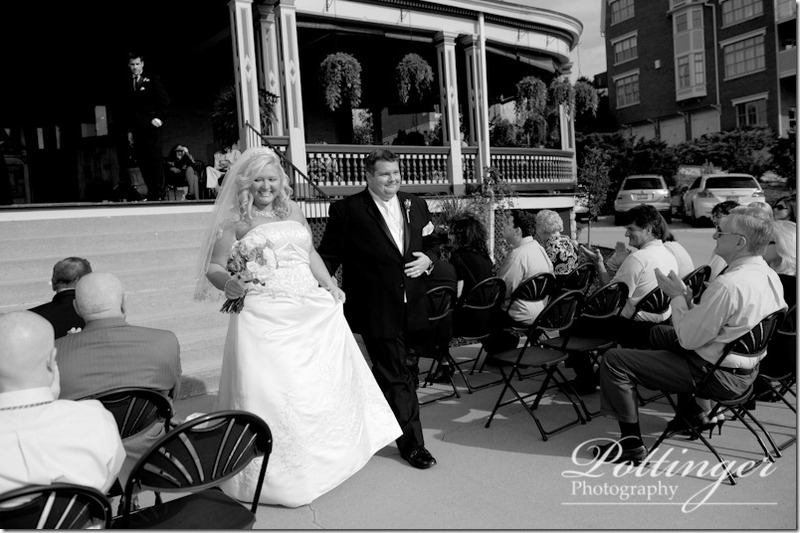 Their ceremony and reception were at the historic Wiedemann Hill Mansion in Newport, Kentucky. It was a beautiful day for a wedding at such a charming location. My favorite part of the day was the end of the ceremony – the couple was so full of joy! It was also fun to see the lights come on downtown from our amazing view on top of the hill! To see more of their wedding, be sure to check out their blog post. Courtney and Craig, we wish you two all the very best in life! We have really enjoyed working with you both.